Houston sends and receives so much freight, it’s no wonder so many freight brokers and 3PLs use it as their base. As a Houston freight broker, one question I often hear is ‘What’s the difference from one company to another?’ Here’s what I recommend every business look at when evaluating a freight broker. Seasoned management doesn’t mean the management team has 1,000 years of experience between them. Years in an industry does help, but industry experience alone doesn’t make a seasoned manager. When it comes to management, look for these two factors. Customer-focus. Does the company understand what you need and challenges you’ve encountered? Don’t settle. A top provider will understand your business. How well they do directly impacts your bottom-line. A good team brings a wide range of experience to the conversation. 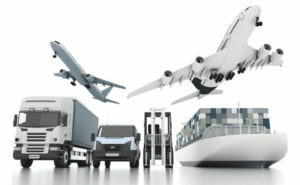 With it they can create practical solutions for your shipping needs. Members of the team may even have sat on your side of the table at one point. For example, I imported, shipped and sold product for years so I understand logistics from both sides of the table. You can read more about that here. Another sign of a good customer focus is that they may disagree with you from time to time. If what they say makes sense, it means they have the confidence that comes from experience. Top Priority. When you speak with a company, ask them what they pride themselves on. Is it low rates? Is it on-time delivery? I personally think it should be customer service. That means getting quotes delivered fast. It means customers talk to a live voice. It means quality data analysis to look for ways to reduce costs. Customer service delivers real solutions, often including low rates. A top logistics firm hires staff with industry experience. A veteran staff can avoid common shipping pitfalls. They also can create solutions for your unique shipping needs. Here’s where you can evaluate staff in terms of years. But years doesn’t really mean anything. Watch carefully how they answer your questions. If they’re knowledgeable, they’ll give you direct answers. A top company will use a logistics software to manage, coordinate, track and analyze. From quotes to reporting, the software creates a smooth flow of information, answers and delivers data to create strategies to reduce future freight costs. To learn more about how a 3PL firm can help your business, contact Houston 3PL LTL Freight Center for a no obligation conversation.